For the use of large CCD cameras, we have developed a precisely calculated 4" field corrector for our RC telescopes. The corrector eliminates the maximum design field curvature and astigmatism up to the edge of the field. With the AFFC you get a flush, coma- and astigmatism-free field of free of vignetting which is 65mm diameter. The picture is much better than sight alone would allow. For example, the CCD sensor Kodak KAF-16803 sensor with 36,8x36,8 mm and a diagonal of 52.1 mm adjusts easily to the usable field . Sensors with 45x45 mm / 64 mm diagonal can be used. For the use of sensors for fields larger than 65 mm, this is only conditionally recommended. The vignetting increases considerably. For such special cases we can offer special correctors and adjust the telescope with a modified baffle system to an even bigger field. 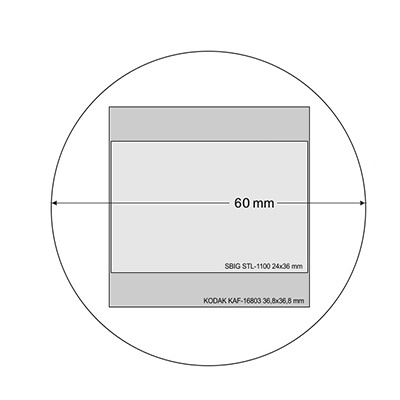 Our RC Reducer, which corrects the maximum design error field curvature and astigmatism at the same time, reduces the focal length from f/8.0 to f/6.0. The usable field of view is 60 mm, optimized compensation of all surfaces 400-700 nm. The reducer fits with the M100x1 seamlessly connecting with all of our RC telescopes. 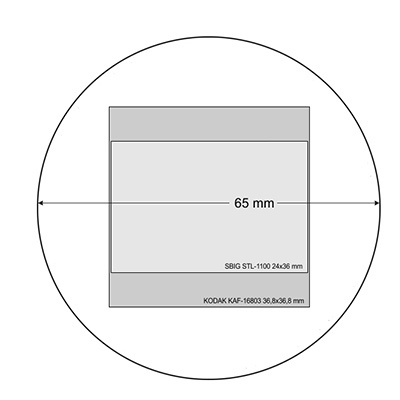 Even with the AFFR .74x, the Kodak KAF-16803 36,8x36,8 mm CCD sensor with a diagonal of 52.1 mm are used free of vignetting. 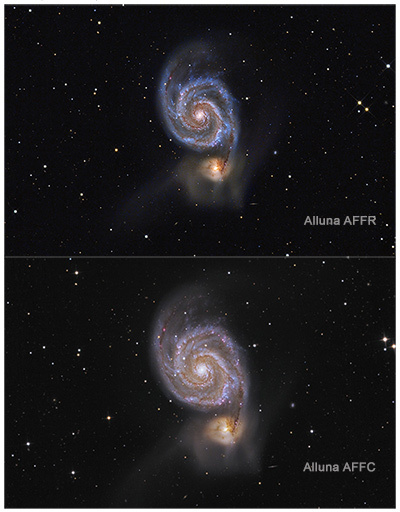 With the example of the galaxy M51, you can see the difference in the image. Please note only the size in the left photo since both images have different exposure time. This second example from the globular cluster M22 in Sagittarius is clearer because the RC-Reducer was used allowing .74x about 25% greater image detail. In addition, the exposure time is reduced correspondingly.